Details: Charity Seeds brings organic sustainable farms to schools. They teach the children how to grow their own food and learn about cooking, preparation and nutrition. 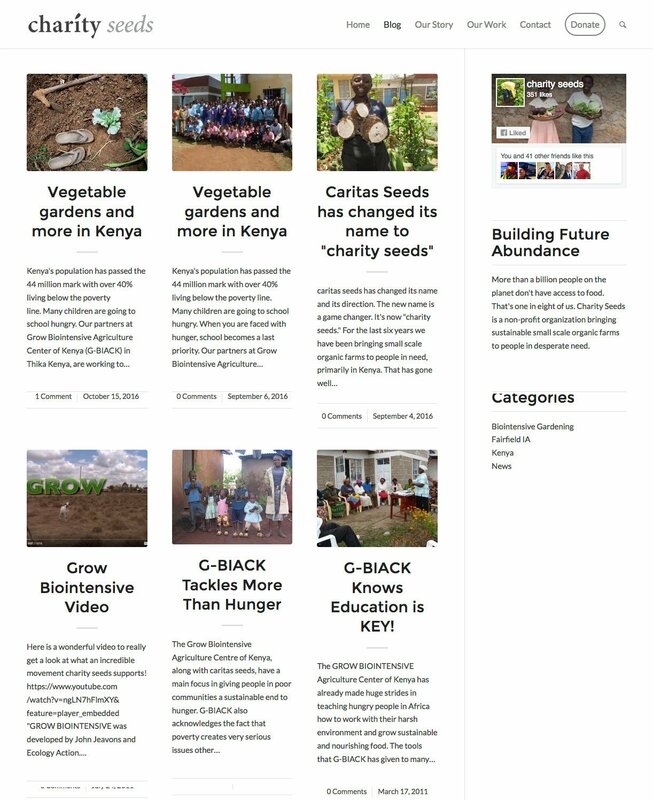 I re-designed their site to support their efforts in Kenya in 2016. Great cause. Check them out!